Form 667B. 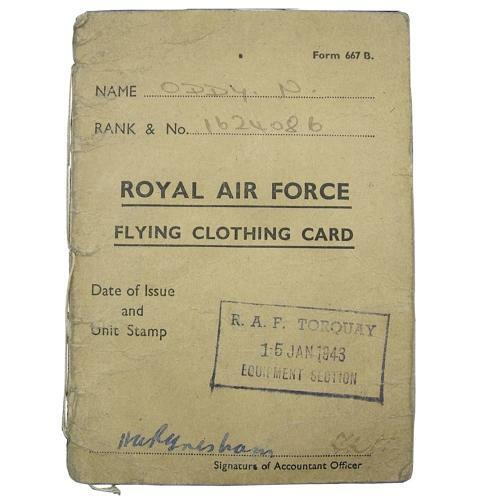 This lists the flying kit issued by RAF Torquay equipment section to N. Oddy, service number 1624086. It includes an aircrew blouse and trousers, boots, flying cap, goggles, inner and outer flying suits, gauntlets etc. These were issued in July 1943. Rather worn. Stock code P22218.